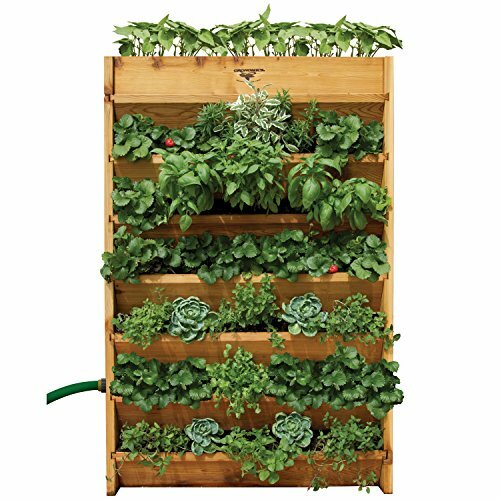 Gardening is even easier with Vertical Gardening. With a small footprint, just 2 sq., it's possible to have a garden just about anywhere. The Vertical Garden includes a drip line irrigation system, so you can water less and enjoy growing more. Over 17 ft. of linear growing space and a soil Capacity: 4.5 cubic ft. Made of 100% Western Red Cedar and handcrafted in the USA. Exclusive 5-Year Warranty.